Waterfront at the town of Grand Marais, Minn. The great James Armstrong performing at the Bayfront Blues Festival this past weekend in Duluth. 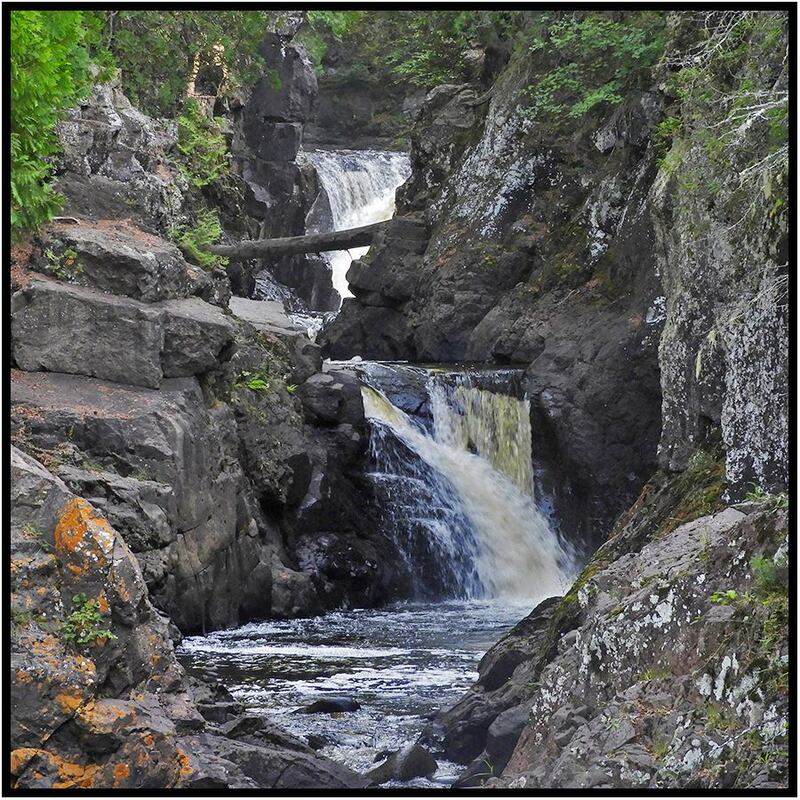 Waterfall near Grand Marais on Minnesota’s north shore. Some of the best pie and coffee can be found at Betty’s Pie in Two Harbors, Minn.
Bride, Groom and tourists share the dock before the wedding, Minnesota North Country style. Ship arriving at Duluth Harbor. Smoky sky over northeastern Minnesota. World-class Hispanic food at Little Angie’s Cantina and Grill in Duluth. Bloomington, Minn., photographer Dave Vorland recently traveled to northeastern Minnesota to take in the Bayfront Blues Festival in Duluth. During the trip, he and his partner, Dorette Kerian also took in some local sights.